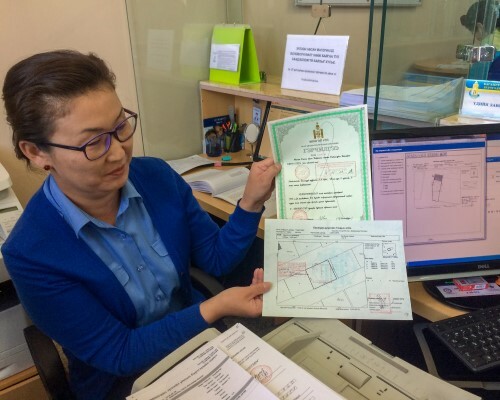 The Millennium Challenge Corporation (MCC) has contracted Cloudburst to implement a performance evaluation of the Property Rights Project (PRP) in Mongolia. The PRP was implemented by the Millennium Challenge Account (MCA) Mongolia from 2008 to 2013. The PRP sought to reduce poverty through economic growth by achieving increased security and capitalization of land assets. MCC funded several improvements to the property registration system designed to improve the system’s reliability, efficiency, ease of use, and affordability to the average citizen. Begun in 2013 by Innovations for Poverty Action (IPA), this evaluation uses a pre-post comparison methodology to investigate whether and how the PRP has increased the efficiency of land registration and collateral-based lending. Specifically, the evaluation looks at the effects of the migration of property records to an upgraded electronic system and the digitization of paper-based property records. This follow-up evaluation draws upon six main sources of primary and secondary data to answer the evaluation questions: ePRS land transaction data, pre-ePRS land transaction data, a banking customer survey, structured key informant interviews with the General Authority on State Registration registers and bank loan officers, focus group discussions with key beneficiary groups, and open-ended key informant interviews with key project stakeholders. While not designed to assign causality to observed changes, this study was intended to provide information about project performance along intended outcomes.